Wishing tons of sloppery kisses, licks, and love all year long. Woof! The kitty boys (Andy and Dougy the Persian kitties) and I love, love, love dogs for their fidelity, love, cute faces, most expressive tails, and good humor. We wish you and yours a very happy New Year 2018! Besides, dogs have the cutest butts in the animal kingdom, bar none, making the whole package too much cuteness if you can’t handle cute! Do not resist the cuteness! Thank you guys for your wishes. Glad we found you in 2017. We are enjoying your antics. The dogs do have cute butts but nothing beats a good cat whisker. LOL! I agree! I’m glad I found you in 2017, too! While I write a kitty boy blog, I have always been fond of dogs. In fact, i thought of myself as a dog person till I got my first ever cat in 2009. Thanks, Ph. 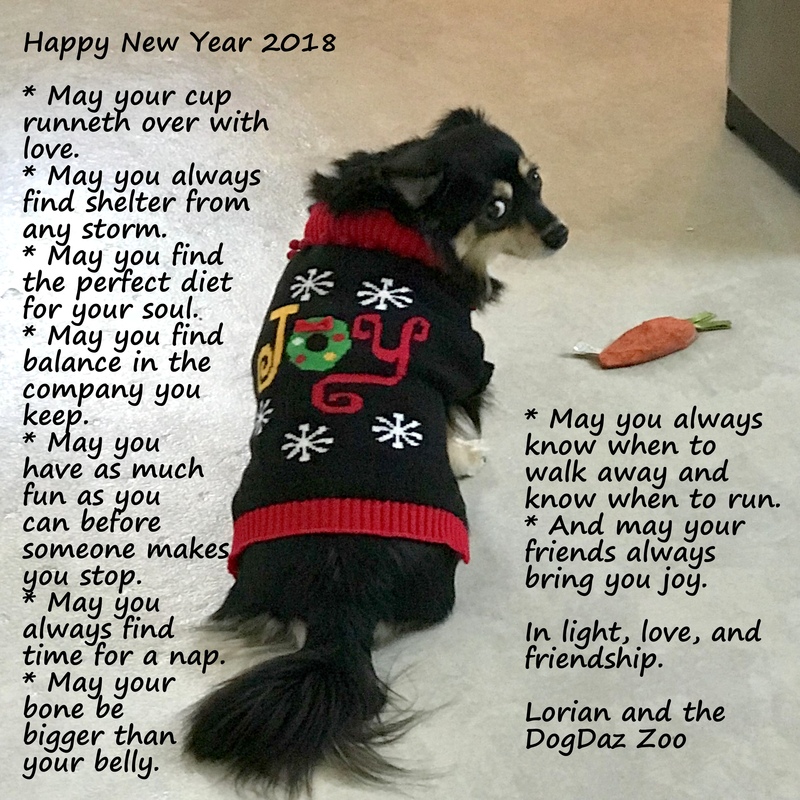 We wish you ad your humans a safe, warm, and fun filled 2018. With you there can be nothing but smiles. Oh sorry. We don’t check DogDaz mail often. How sweet of you. Mom has been on break. Happiest of holidays.